A previously unseen video of a plane crash appeared on YouTube. It apparently shows an Iranian military jet that crashed just outside Tehran in 2009. The accident happened after a military air show commemorating the outbreak of the 1980-1988 Iraq-Iran war on September 22, 2009. 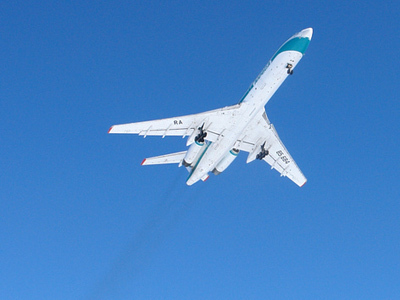 The Ilyushin IL-76MD went down in flames and crashed on a farm. 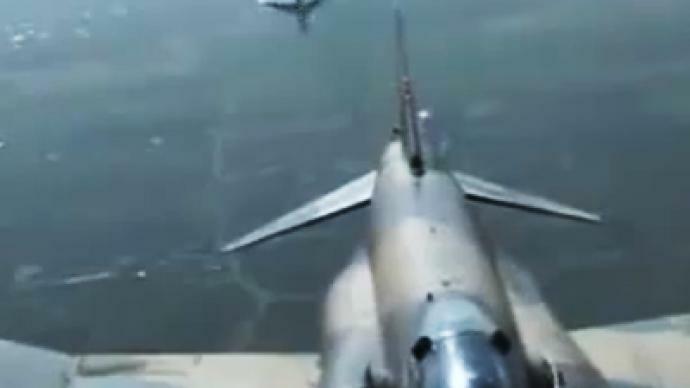 The video was taken by a C-130 crew that was recording an F-4 Phantom II. Off in the distance, the Iranian plane can be seen falling down and crashing killing all seven crew members. The user paaghi in Iran who posted the video on YouTube indicated the crashed jet was a Caspian Airlines Tu-154. But comments posted to the video helped establish it was the modified IL-76MD AWACs plane.